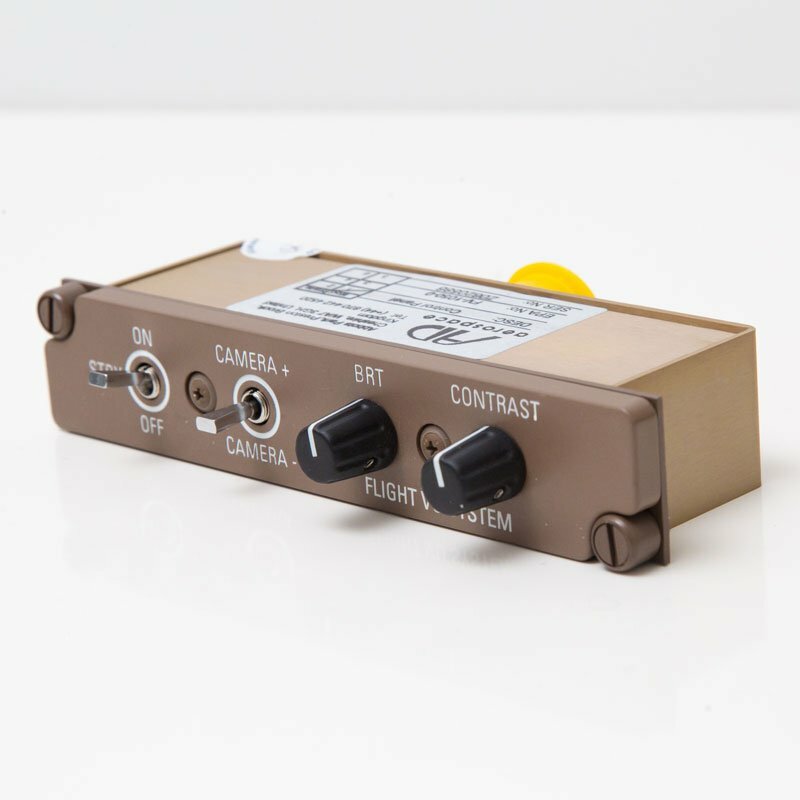 AD Aerospace’s FV-1050 is a display control panel used in conjunction with the FV-0580 Video Switch to control which camera input is shown on a connected display. It is light weight and can be quickly installed / maintained as it is Dzus rail mounted.Using the FV-1050 the user can select which camera image they wish to view, the brightness and contrast of their screen and the status of the attached system. The standby option allows a user to turn off their display while leaving the system active so other users can view images in a multi user system. The camera select switch allows the panel to support any number of camera inputs. The FV-1050 is most commonly used for control of display of video images fed from either internal or external cameras to aid the safety and security of the aircraft, such as Cockpit Door Monitoring Systems. The front panel switches are fitted behind a “Lightplate” which gives trans-illumination through the knobs, around the panel, and through the lettering, allowing the switches to be identified in a darkened cockpit.